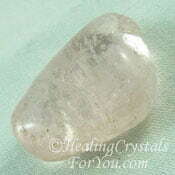 Lilac Lepidolite is an excellent stress relief stone, as it contains lithium. 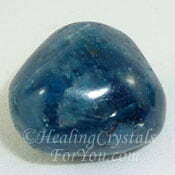 It is a soothing calming stone that will help you if you are feeling anxious, stressed or depressed. 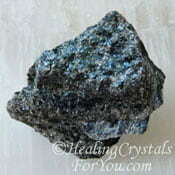 It brings emotional healing and helps you get deeper into meditation and has a positive vibration that stimulates positive coincidence or synchronicity. 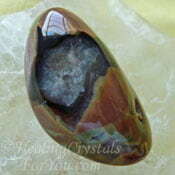 The vibration of this stone works within all chakras, but it highly effective within the highest chakras. 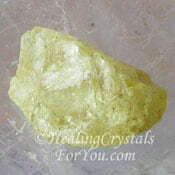 It is a Libra birthstone so it may be found made into crystal jewelry. 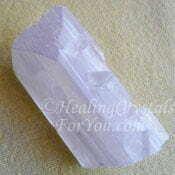 It will help you to make a stronger contact with your guides and beings in the higher realms. Lepidolite is a lithium mica, found in a number of places, including Czech Republic, Greenland, Madagascar, Africa, Dominican Republic, Brazil and the USA. 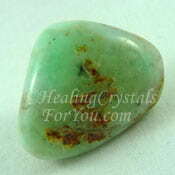 The meaning of this stones name comes from a Greek word 'lepidos' meaning scale. The color of Lepidolite may of course be Lilac, but it also occurs in other colors, including pink, purplish and lavender, all colors in the same range of hues. Lilac Lepidolite is a variety of Lepidolite that is found in Zimbabwe in Africa. 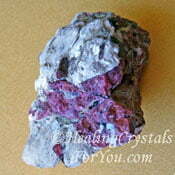 The pink, lavender and purple Lepidolite all have a similar energy to the lilac crystals. 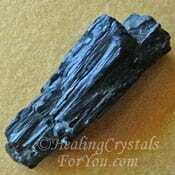 As well as the pinkish lilac colors Lepidolite may also be yellow, yellow-brown, blue, gray, white or colorless. 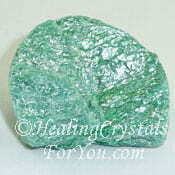 It can also come as an inclusion on and/or in Quartz, like the piece in the photo below. 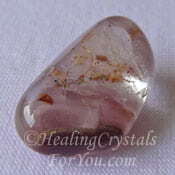 Lilac Lepidolite has a truly unique resonance that aids a Divine connection with the deep innermost part of yourself known as The Divine Presence. 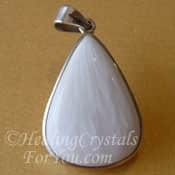 This stone has a quite unusual vibration that helps to activate your connection with your higher self, and aids you to recognize the Divinity within your own self. This is a highly spiritual energy. This vibration aids you to feel a spiritual sense of love, for yourself and for others, and helps you to make the connection with the innermost center of yourself, known as the Divine Presence. 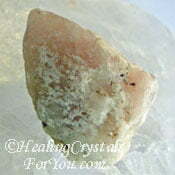 Buy Lilac Lepidolite from Exquisite Crystals, my most trusted source for buying crystals. It is known to stimulate your intellectual and analytical abilities, and to recognize the patterns that come from your personal way of thinking. It stimulates a stronger ability for you to be in harmony with Spirit, and it aids you to feel more settled and serene about life. 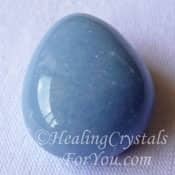 By this encouragement for you to be more in the flow of life, this beautiful lilac stone creates an increased number of powerful coincidences and/or synchronicities. These coincidences allow the Divine mind to create amazing situations, to aid you to bring into your life those things that you desire and have been thinking about. 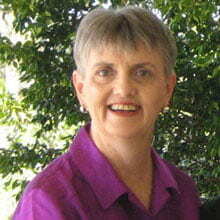 This is of course strongly linked to the law of attraction. 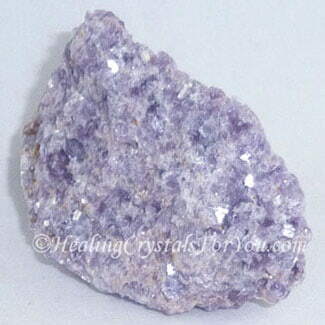 Lilac Lepidolite has powerful metaphysical properties, and a lovely vibration that will work through all chakras. 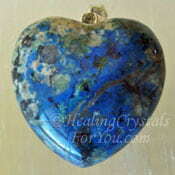 In particular it resonates strongly within the thymus or higher heart chakra, the heart chakra and the crown chakra. 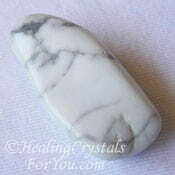 Using this stone is one of the more beneficial ways to relieve stress. 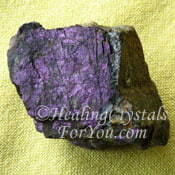 Lilac Lepidolite will heal the heart under these circumstances, reducing shock and the confusion of your emotions. In particular it will help you if you have been experiencing the stress of grief or loss, or other sorts of deep emotional suffering and anguish. 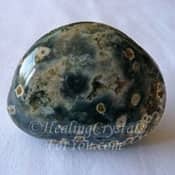 The beneficial vibrations embodied within this stone are especially helpful to aid the grief of children and even pets, and aid the stilling of obsessive thoughts and help you to make decisions more easily. It is known to help you if you have allergies as it is said to strengthen the immune system. It will relieve exhaustion and help you if you have chemical sensitivity caused by sick building syndrome. It is said to be helpful if you suffer from bipolar disorder, and is known to aid Alzheimers, sciatica, neuralgia, joint pain, arthritis and inflammation from broken bones. 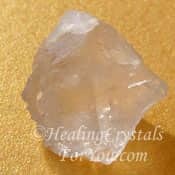 Learn techniques to meditate more easily and combine it with this stone, as it is known to aid you to get to a deeper meditative state more easily. 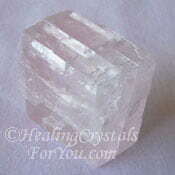 This lilac crystal will aid you to reach the first stage of meditation more readily. This is known as the alpha state, where you have a relaxed and calm mind, without too many thoughts interrupting you. 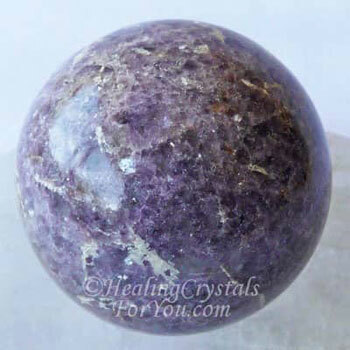 The best way to use Lilac Lepidolite is in meditation, as it is a stone of spiritual purification that will help you to clear negative energy trapped within your auric field. 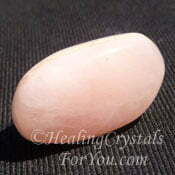 This lovely lilac stone is also known to help you to move even deeper, into the focused and centered theta state. Theta is the state we attain when we are deeply asleep and are dreaming. You need to be very deeply into meditation before your brain waves slow to the deeper theta waves. Once you discover how to reach this lovely deep state during meditation you will more easily travel to the higher realms. It is good to find an easier way for this to happen, as many people find this difficult to achieve. Once you make that higher connection you may begin to communicate with beings in the higher realms, and connect with angels. Once you have succeeded in contacting your spirit guides and begin to work with your guides, you may find that your spiritual growth accelerates. This higher connection may move your growth forward very quickly, in a number of ways. 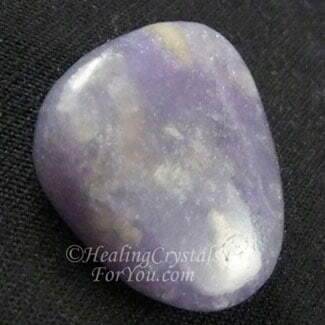 This lilac stone is on the zodiac birthstone list, and it has a very positive energy that will quieten the nervous system and support the heart. 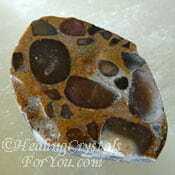 This stone has a beautiful vibration that is a pleasure to use. 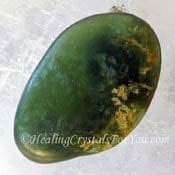 It is a lithium based stone which means it will aid a range of issues such as depression, anxiety and stress and is also an excellent crystal to help you sleep better. They have a strong cleansing action to help you to release negative psychic energy that has become trapped in your auric field. Wearing a Lilac Lepidolite pendant will help you, and as it is one of the Libra birthstones you should be able to find crystal jewelry made from this stone. 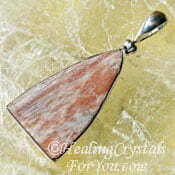 They are excellent healing crystals for you to wear to aid you during menopause as their energy to ameliorate mood swings is very helpful at that time. 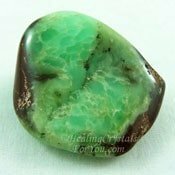 If you keep this one of these lovely stones within your aura for as long as possible each day, you will benefit from its calming energy. Place it under your pillow when you are feeling anxious and you may sleep better. 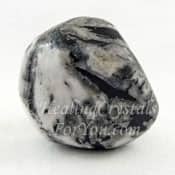 Wearing this stone will be very helpful, and may aid you to more easily release any anxiety and stress you may feel, while being soothed by its calming vibration. Its energy may be felt when you place it against your skin in a place that has any energy blockages or is in need of healing. Its effect within the heart and higher heart chakra, creates an abundance of joy, peace, serenity and love to flow into your being. 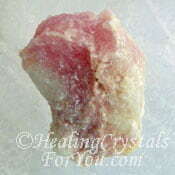 Lilac Lepidolite is highly effective within the highest chakras. 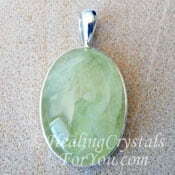 It has a quite special energy that creates a connection with your higher self and the innermost part of yourself known as the Divine Presence. This allows your life to flow in line with Divine will as the everyday mind connects with the Divine mind. 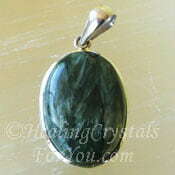 At times when you feeling anxious, stressed or depressed, this stone has a soothing and calming energy that aids to feel better. The lithium within it makes it good to relieve stress. It has a positive energy that prompts the occurrence of coincidence and synchronicity, a beneficial energy that is a powerful asset in your life. "Indeed, man wishes to be happy even when he so lives as to make happiness impossible." St Augustine. If you would like to read the reviews of my favorite Crystal Books, I have a dedicated page reviewing many of the more popular crystal books. All of the crystal books that are shown below are quite in-depth crystal reference books, and will provide extra information on the crystals mentioned in this page. There are new crystal books written all the time, and sometimes, like the Crystal Bible Three, they cover new stones that have been discovered more recently. As I buy many of these books, it may be helpful for you to check out my reviews to read more about what they cover. 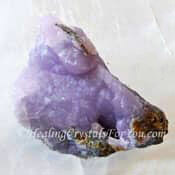 Many stones will benefit by being combined with Lilac Lepidolite as it will aid you to make a higher connection, and this then enables those stones to work more effectively. 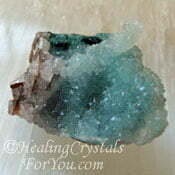 This includes Prehnite, Angelite, Chrysoprase and Purpurite. 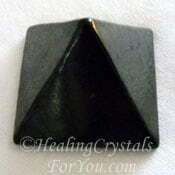 Its ability to aid you to remove negative energy from within your auric field will be aided by using it with Aegirine, Black Tourmaline and Shamanite Black Calcite. 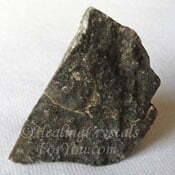 To help you with your allergies, combine it with Shungite, Fuchsite, Muscovite, Cookeite or Pudding Stone. 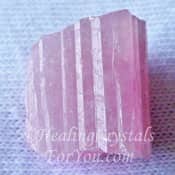 If you are going through any stressful situations you may choose to combine this stone with some of the other lithium based stones, such as Amblygonite, Holmquistite, Pink Tourmaline, Hiddenite, Kunzite and Lithium Quartz. 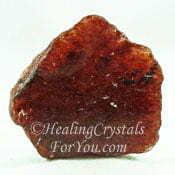 There are a large number of stones to aid stress that you may choose to combine well with it. Use it with any of these stones and see how it works for your personally as each of you are individual and may find specific stones more helpful. 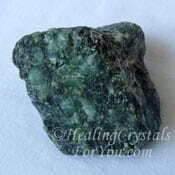 Other stress relief stones that you might like to use includes Vivianite, Ocean Jasper, Spurrite, Maori Greenstone, Sillimanite, Mt Hay Thunderegg, Gem Silica or Howlite. 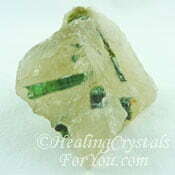 Many of the other heart and thymus chakra stones are excellent healing stones that will work well in combination with this stone. These include Morganite, Seraphinite, Green Tourmaline, Chrysanthemum Stone, Pink Lazurine, Smithsonite, Dalmation Jasper, Transparent Pink Calcite, Nirvana Quartz, Emeralds and Eudialyte. 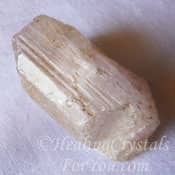 The high crystal energy stones such as Scolecite, Petalite and Danburite will help the crown chakra connection, and both Petalite and Danburite have a lovely energy to aid emotional healing. 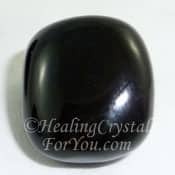 If you have been having trouble getting into a deep meditative state, you may choose to use this stone with stones that stimulate deep meditation. Many stones are helpful to assist you to relax into meditation, but if you would like to more quickly reach the alpha state and then go even deeper into the deep theta state in meditation, there are a number of stones that are particularly helpful. 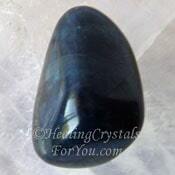 Stones for this purpose that you may like to use includes Lithium Quartz, Blue Apatite, Green Prehnite, Azurite, Kyanite, Chrysoprase and Mt Hay Thundereggs also known as Amulet Stone and Star Agate.